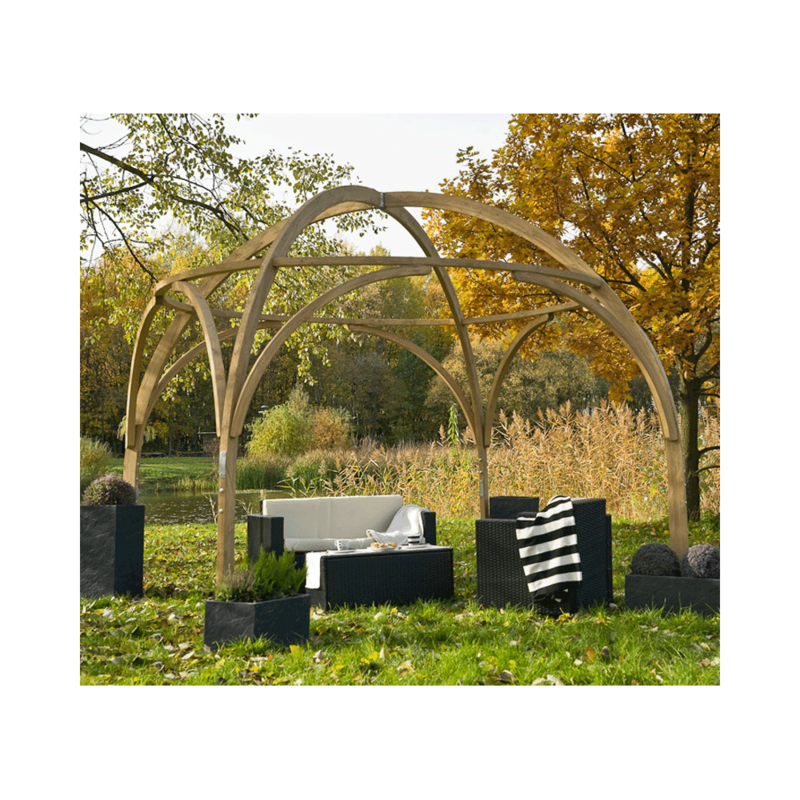 Jagram Leto Pergola: The Jagram Leto Pergola is a remarkable domed garden feature, a new addition to Jagram's range which utilizes connected wooden arches to create a strong structure. With the option of a canvas cover to provide additional shelter and shade, the large 4m diameter wooden pergola creates a space for outdoor relaxation or entertaining that can be positioned to suit your needs. All wooden elements are Northern European Softwood and are pressure impregnated with an advanced formula wood preservative to protect against weathering, insect attack, and decay with a ten year guarantee. Constructed by expert craftspersons from responsibly sourced timber, the pergola can be an eye-catching addition to any garden for many summers to come. If Canvas Option is Selected you will Receive an Ecru Coloured Waterproof Canvas.